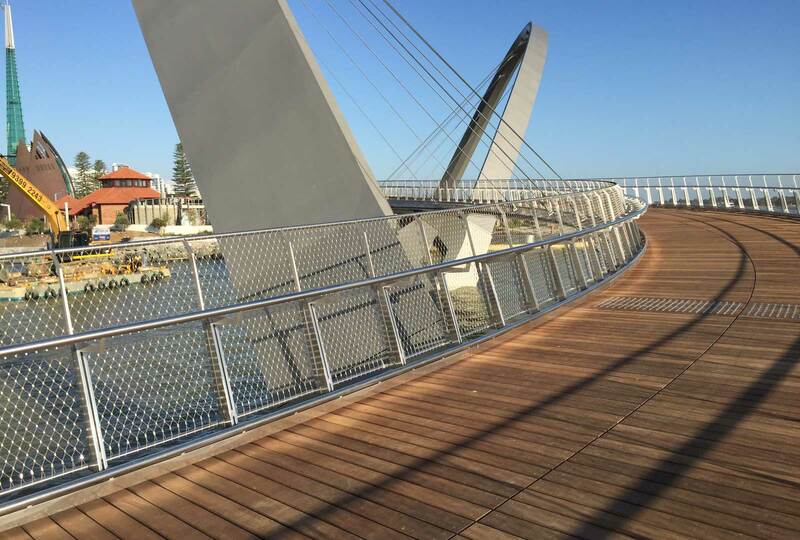 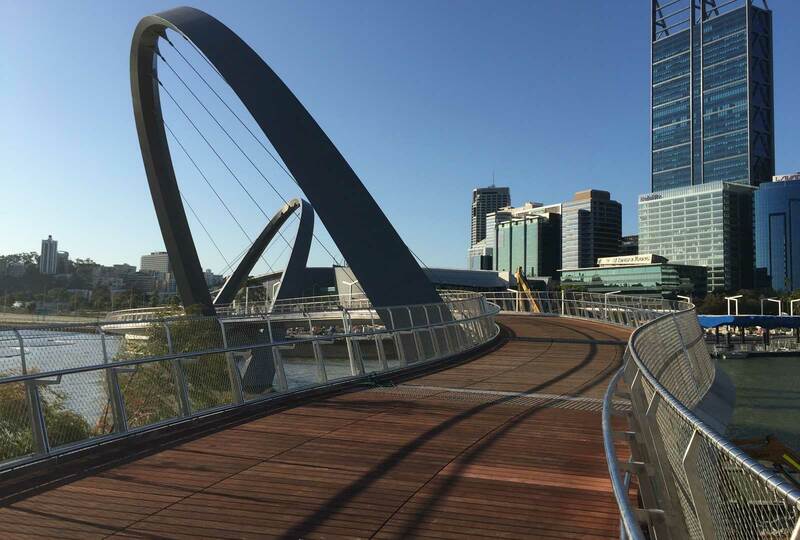 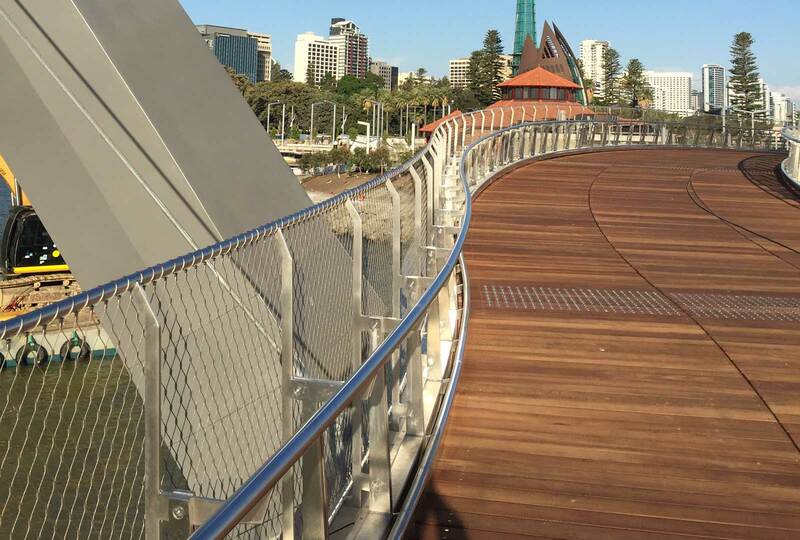 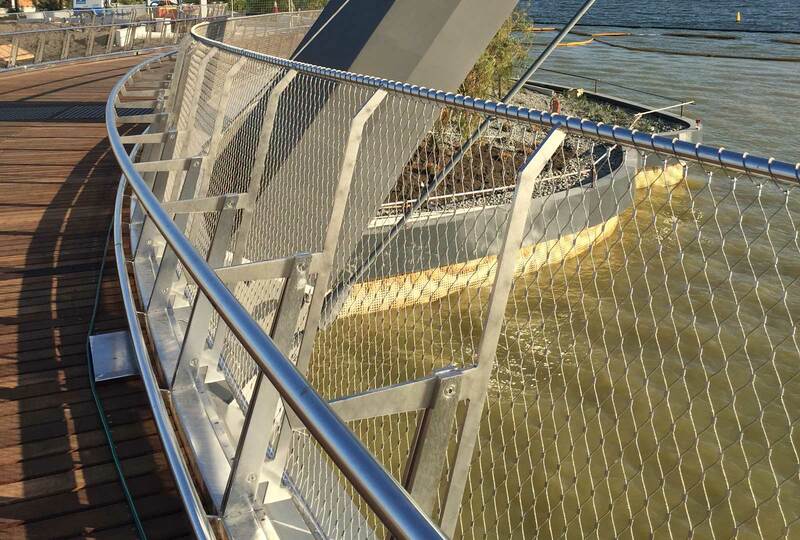 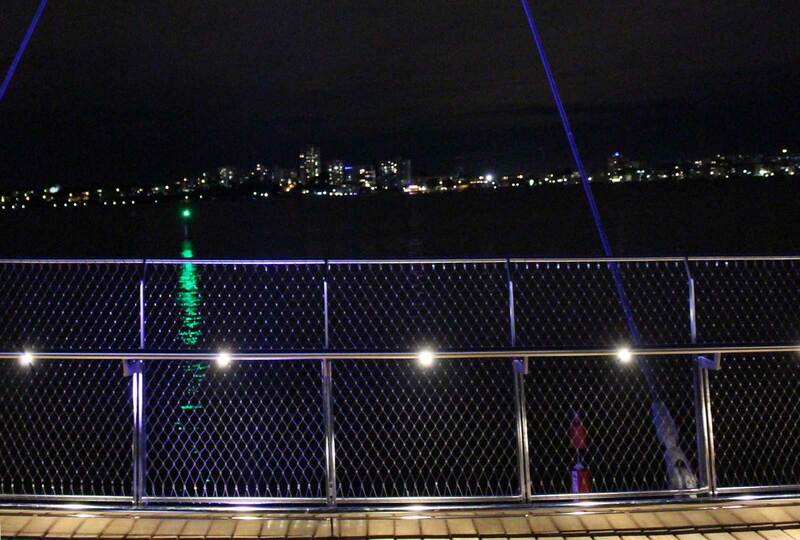 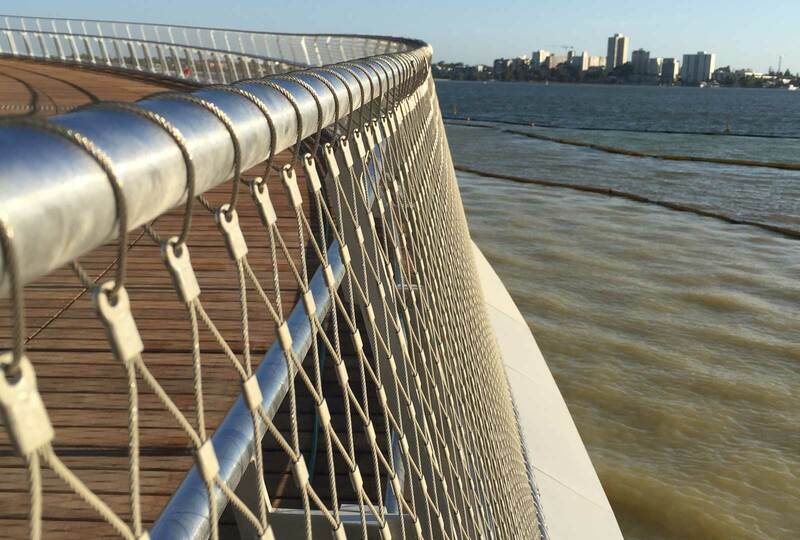 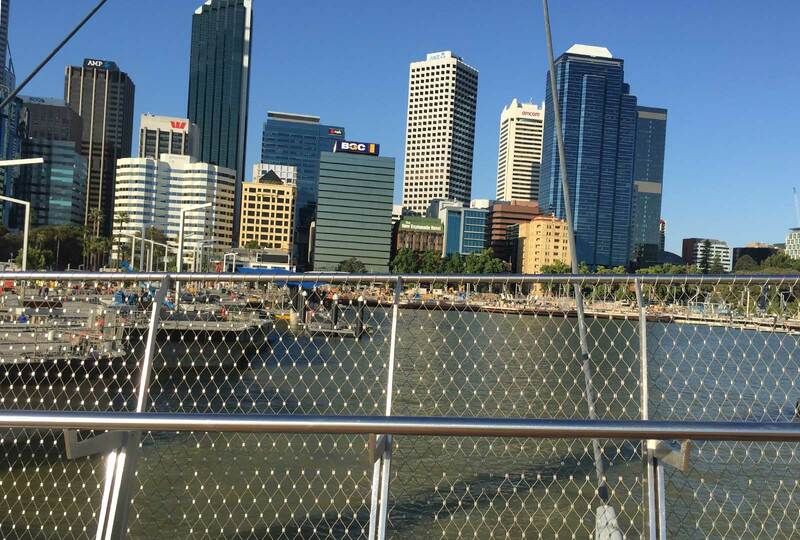 Augen Design were subcontracted to install the Jakob Webnet mesh to the Elizabeth Quay Bridge. 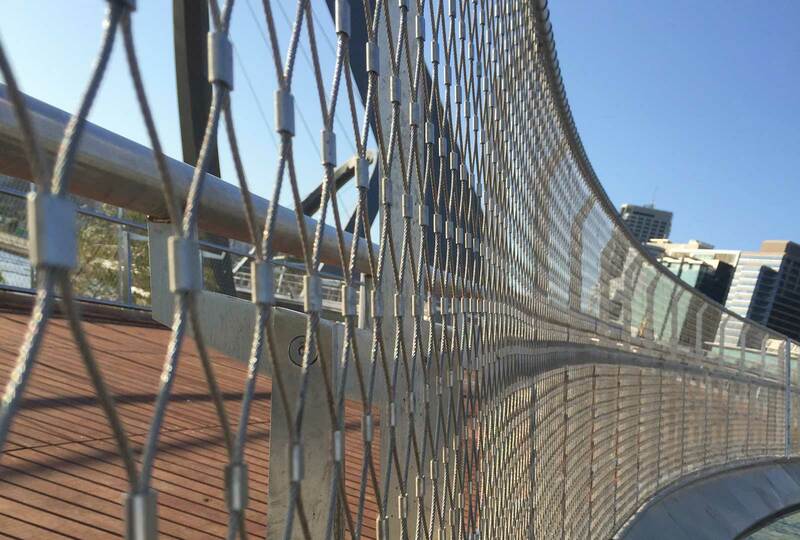 The Webnet mesh acts as the infill to the balustrading which is a fall prevention screen. 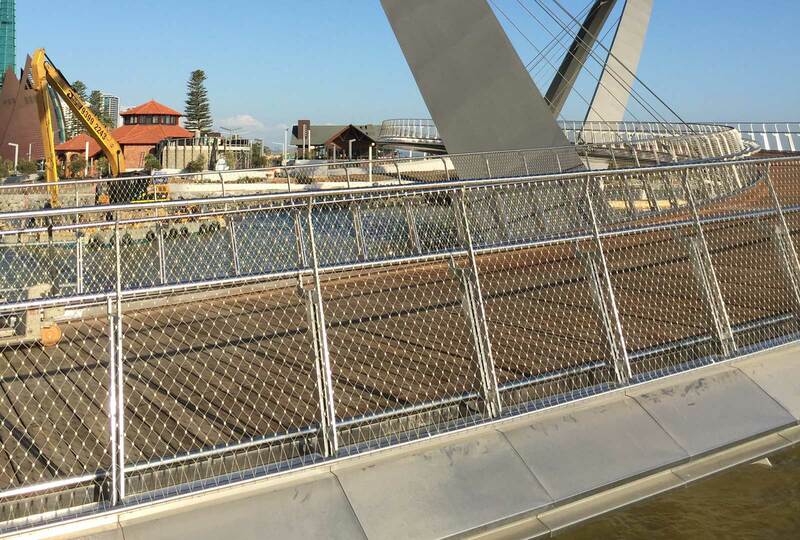 The unseen difficulty in the panel sizes is that the bridge spirals and the height varies. 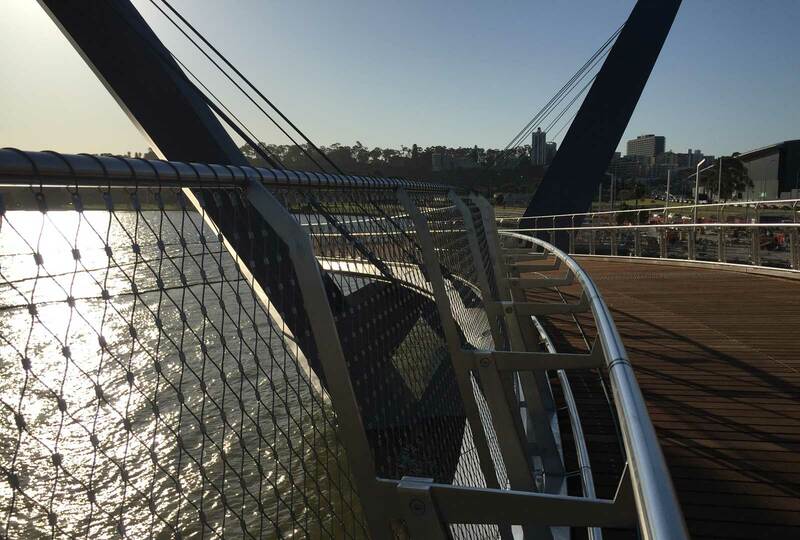 We used Solidworks to flatten the spiral shapes in order to assist Tensile Design and Construct, in confirming the final mesh panel sizes.